As both local banks and interested foreign investors have looked carefully at possible business combinations, regulators ponder how to evaluate the likely future requests for approval. All of this against the backdrop of a fairly new banking law and a new companies law, meaning many of the rules are not yet well tested. How can the new deals be structured before and after official approval? VDB Loi hosts an extraordinary workshop to exercise precisely that. How can you structure purchasing or selling a stake in a Myanmar bank? Which joint ventures will the government allow in the banking sector? Can a foreign investor buy shares in the holding company of a Myanmar bank? What are the steps to approve a share transfer? How do Myanmar financial regulations impact the joint venture/shareholders agreement? “Due Diligence deal killers” – case studies on what we might find and how to fix it. What are the structuring options for buying and holding a stake in a Myanmar financial institution? Call options, convertible loans, classes of shares, trust ownership: what works in practice? How to apply the 35% rule to banks? Can foreigners own shares of banks through a trust or nominees? What if the bank owns real estate? Approval Process and Financial Regulations Impacting the Deal? What would be the approval process for a foreign investment in a bank? Can foreigners sit on the BOD of a Myanmar bank? Can a foreign investor have a veto right on certain decisions? What kind of due diligence issues might come up? Which ones cannot be fixed? 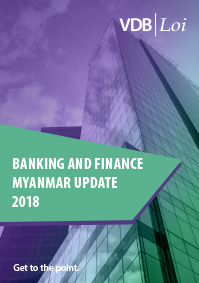 6 10.40am – 11.30am Panel Discussion: What is the M&A Outlook for Myanmar banks?